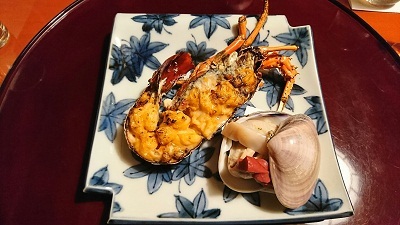 We had “Kaiseki (celebration meal)”. 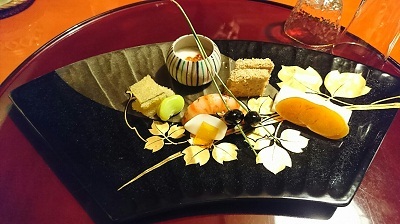 Doi’s special “napkin” folded in the shape of “happi (=traditional livery)”. One of our staff tried to fold it with a waitress. 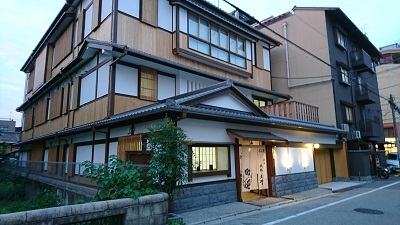 We went to have dinner at Gion Doi with all the LST staff. 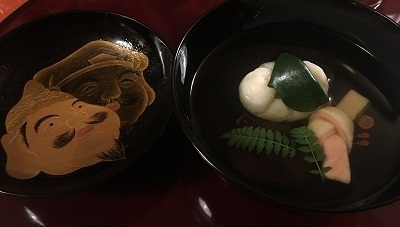 “Kaiseki-Ryouri (dinner for banquet)” were served on the beautiful plates and they were so delicious. Thanks for a lovely time, Doi.